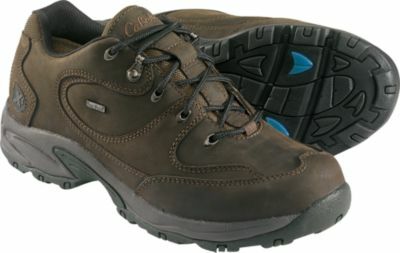 This is a really comfortable hiking or backpacking shoe for people who don’t like hiking boots. The Ridgecrest offers increased traction and stability in a waterproof package while still remaining breathable. 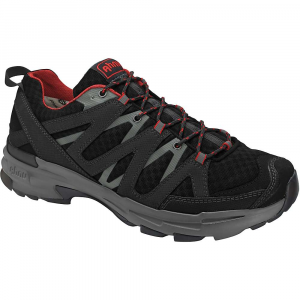 Ahnu has packed a lot of technology into the design of their new Ridgecrest low-rise hiking shoe. The soles are comprised of Spider Rubber, known for its stickiness and durability. They feature directional lugs for increased traction during forward movement while also helping to eliminate the trip hazard that can arise from traditional lugged soles. The thermoplastic urethane shank provides torsional stability to the lightweight RMAT midsole while allowing for forefoot flexibility. The RMAT midsole combines EVA and rubber foam to deliver shock absorption, durability, cushioning and low compression in a single package. A shock dispersal plate has been added under the forefoot to protect the foot from stone bruising. Ahnu’s Numentum technology keeps the foot centered and balanced when moving down the trail while a rubber bumper offers extra toe protection. The heel cup centers the foot for neutral positioning and diagonal braces are sewn around the heel cup for added stability. 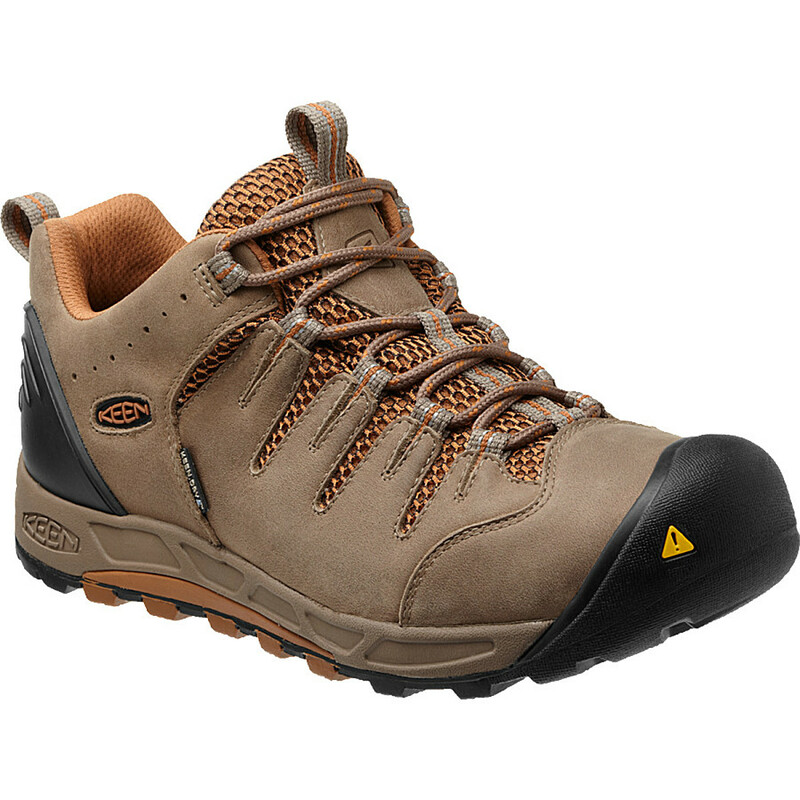 The Ridgecrest’s uppers are a combination of waterproof leather and hydrophobic breathable fabric. The interior with foam edging is comprised of eVent, a waterproof, moisture-wicking fabric. A combination of loops and eyelets offer a variety of lacing options. The entire package weighs less than one pound per shoe. Ahnu was founded in the San Francisco Bay Area in 2006 by three passionate individuals with the mandate to offer go-to products that blend performance and style. Ahnu is now a part of Decker Brands, spanning the world with lifestyle brands Ugg, Teva, Sanuk and Hoka One One. 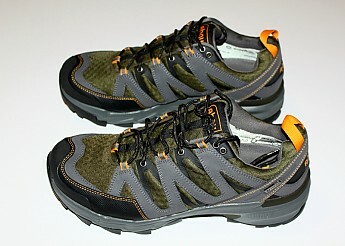 I put the Ahnu Ridgecrest hiking shoes to the test during long day hikes and a backpacking trip over several days. The size nine shoes were correct for their size and the width would be considered medium. 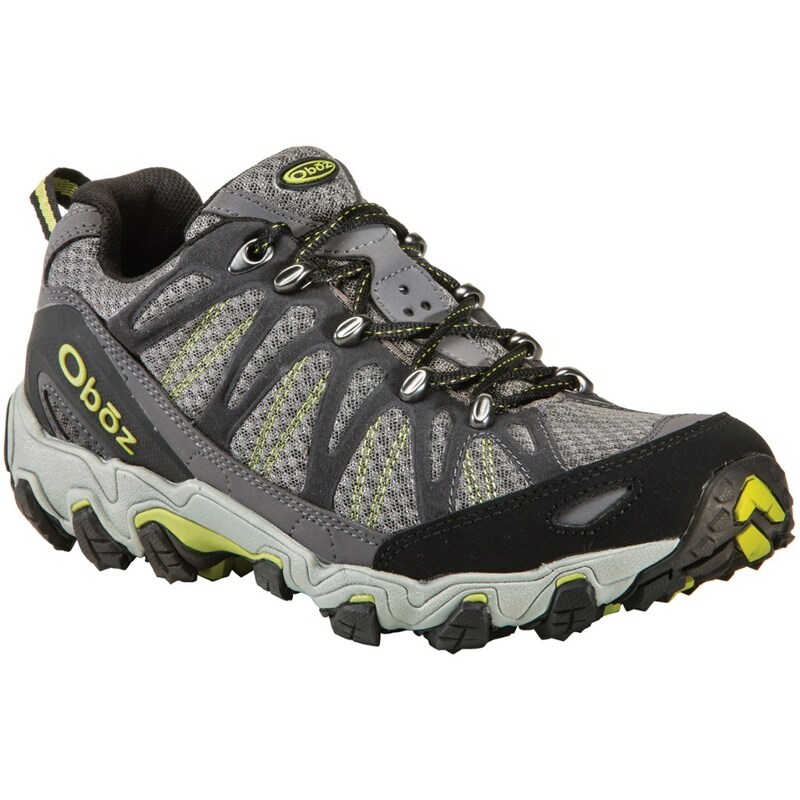 The toe-box offers a lot of room for a wide forefoot and was very comfortable. A variety of lacing options allows one to tighten the shoe in different ways depending on the terrain. On an initial six-mile day hike the Ridgecrest hikers were worn out of the box with no break-in whatsoever. During a several mile downhill section that was equal parts trail and stream bed, the torsional stability of the midsoles was greatly appreciated. 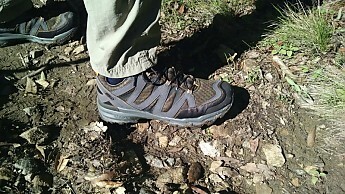 The Spider Rubber soles provided excellent traction during both the descent and ascent of the trail. I really appreciated the directional lugs which are smaller at the front than the back, as I have a tendency to not pick up my feet while hiking. With standard lugs, that can lead to a lot of stumbling. Numerous stream crossings proved a good test for the waterproof uppers, which did their job as long as the shoe was not fully submerged. To further test the hikers they were taken on a ten-mile hike. Paired with thin merino wool socks they felt great all day. Moisture wicking was excellent, keeping the socks dry during the entire day. The light weight of the Ridgecrest hikers was appreciated at the end of the day as my legs still felt fresh. The final test was a several day backpacking trip wearing a 27-pound pack. 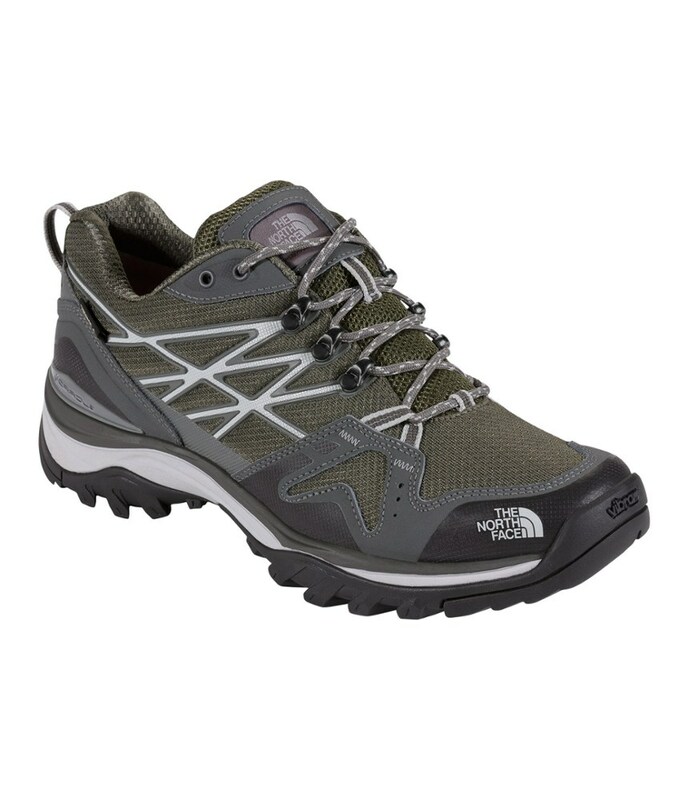 I previously had been using trail running shoes when backpacking and immediately noticed that the purpose-built hiking shoe had a much better foundation when hiking with the extra weight. 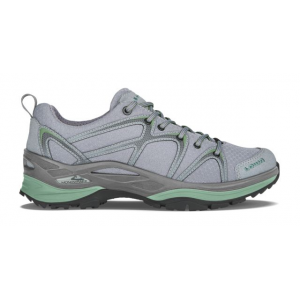 Weighing only four ounces more than the trail runner, they more than made up for it with better stability and a more comfortable feel under foot. The sole had good stiffness from the midsole to the back while the forefoot was flexible. The shock plate under the forefoot did an excellent job of dispersing the pressure when hiking over rocky areas. The shoe was very stable with no tendency to roll to the side when walking on uneven terrain. The rubber toe bumper added extra protection when I encountered rocks along the trail. 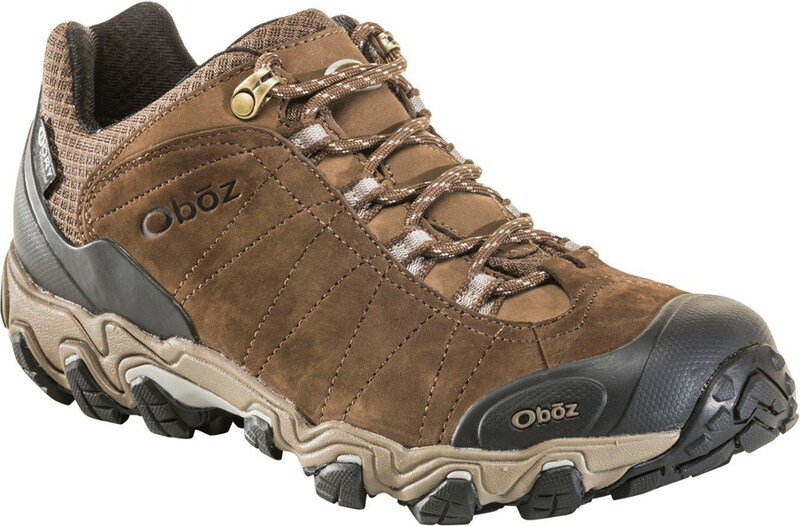 Traction was excellent whether walking on loose dirt, rocks or fallen logs. The stability and stickiness of the soles provided a secure feeling when rock hopping across the numerous stream crossings. The true test of a good hiking shoe was that, at the conclusion of all the test hikes and the backpacking trip, there was not a hot spot or blister on either of my feet. The Ahnu Ridgecrest is not available from the stores we monitor. It was last seen January 22, 2018	at REI.